Some branches of the Eastern Church still use in their liturgy the Syriac language,which is very close to the Aramaic spoken by Jesus. 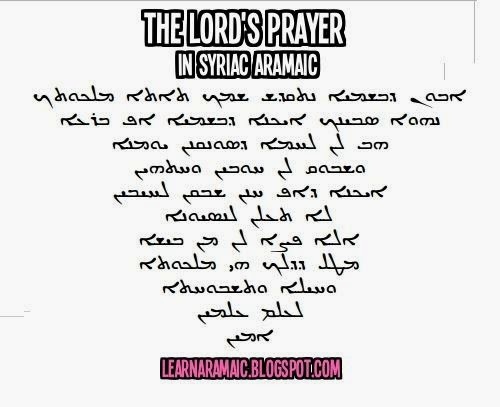 "Our Lord's Prayer'" in Syriac exists in several versions.I have put some of them up here for you to listen.The prayer in Syriac is called Abwoon D' Bashmayo. The Lord's prayer sung in Syriac.